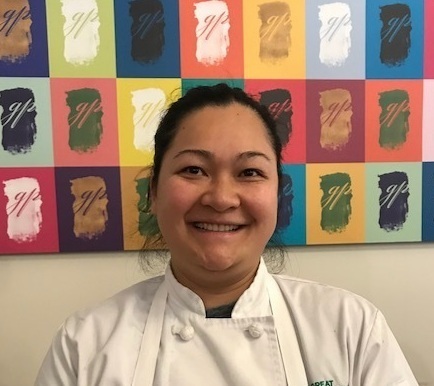 GP’s Monica Ng Among Top NYC Pastry Talent at ICC’s Pastryland! Working with Callebaut and Ruby chocolate has been an amazing experience. To be the only female ambassador at Callebaut—among chefs that I admire—is beyond words. About a year and a half ago, I was working in Los Angeles and one of my junior sous chefs showed me a clip on social media about this new chocolate that was being launched in Shanghai, China. I was mesmerized by the color, flavor profile and the name. So I contacted Miriam Madrigal, the Marketing Director for the Americas for Callebaut chocolate, who I had met through Women Chefs and Restaurateurs, and asked to get a sample. 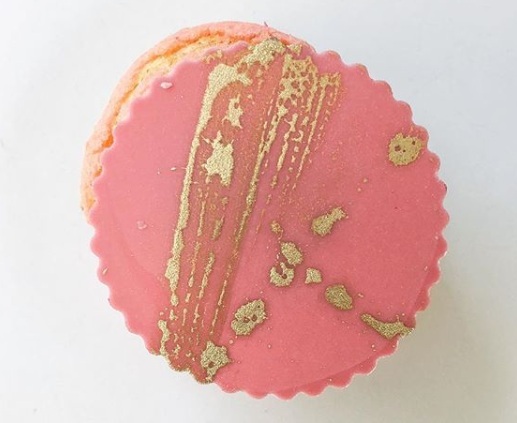 What really attracts me to Ruby was the fact that the flavor and color are naturally occurring in the chocolate. The acidity at the end and the faint berry aroma makes me think of fruit-forward pairing ideas and I try to enhance these natural characteristics of the chocolate. This was my inspiration for the “Pink Velvet Puff”, a cream puff filled with raspberry lychee compote and Ruby chocolate whipped ganache. 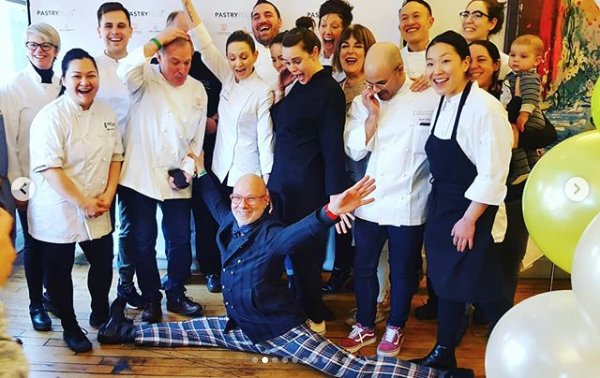 To be given the opportunity to participate at The International Culinary Center’s third annual Pastryland, while using Ruby chocolate, was amazing because it gave us an idea of what the U.S. launch of Ruby chocolate will be like, all while benefiting a good cause.